I do, however, have a ‘Lunch’ interview to share this week that turned into a phone interview at the end of December when both my daughter and I were sick at home at the same time which was just so much fun. Author Daisy Goodwin and I were supposed to meet at 55th and Fifth when she was last in town from London to talk about Victoria, whose second season premieres this Sunday night at 9 pm ET on PBS Masterpiece and the new official companion book, Victoria & Albert A Royal Love Affair (St. Martin’s Press), that she wrote with journalist Sara Sheridan. Daisy and I ‘Lunched’ at Michael’s last year (that’s when the photo with her in this week’s column was taken) when the show debuted here on PBS in the states simultaneously with her book of the same name. I marveled at how anyone could write novel and a television show at the same time. And, even more amazing, both were deliciously romantic, gracefully done and full of wit. I couldn’t wait for season two to find out more about Queen Victoria (Jenna Coleman) and Prince Albert (Tom Hughes) and the dashing Lord Melbourne played by Rufus Sewell whose chemistry with Jenna Coleman (Victoria) in season one nearly melted down my television. Yes, I still watch shows on television. 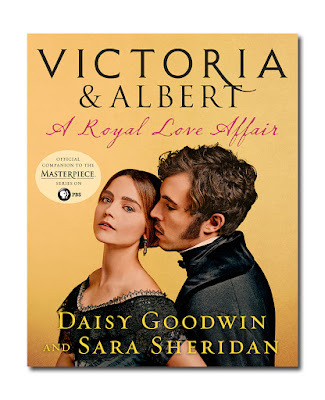 When Daisy told me, “I’m amazed at how little people know about Victoria and Albert,” I assumed she was talking about our own reality-show obsessed culture that considers last year ancient history, but what she said next really shocked me. Turns out it’s the Americans, not the Brits who know more about the history of the royal couple – but it’s a very specific group. “The Masterpiece audience is extremely literate.” Indeed. Speaking of the written word, I told Daisy I love the companion book full of rich and fascinating detail that goes beyond Victoria and Albert themselves and all historical aspects of the period. It also includes interviews with the cast and a behind the scenes look at various aspects of the production including the sets and the costumes that are sure to delight the show’s many fans. This season that passion is front and center in the series – and ‘Lord M’ makes a return. “Rufus is fabulous. We’re very very lucky to have him back,” she said. Before we said our good-byes, I had to ask her what she thought of Prince Harry’s engagement to Meghan Markle. “It’s fantastic,” she told me. “There’s no doubt there’s a lot of love there,” but she warns, “The British press is a nightmare.” I guess we’ll have to wait a while to see how the historians treat the history-making royal couple. 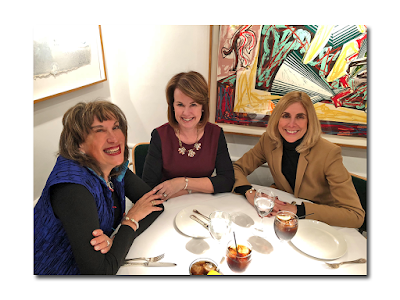 I was thrilled to see two of my favorite people, PR maven Judy Twersky and WWD’s Lisa Lockwood in the dining room and they kindly invited me to join them. 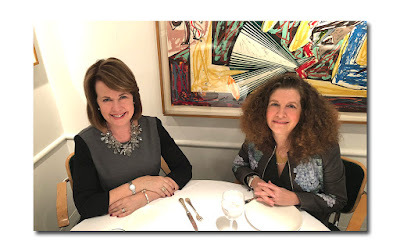 I hadn’t seen either of them since Mickey Ateyeh’s lunch for me in this very dining room to celebrate the launch of my first novel, "Imagining Diana". But I digress. 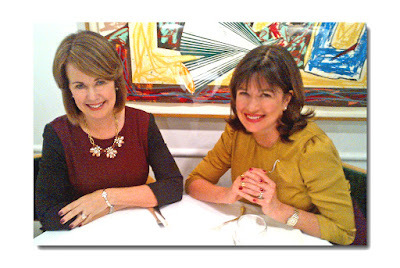 These two power gals were meeting to talk about the myriad of PR projects Judy is juggling at the moment which include HBO’s, The Number on Great-Grandpa’s arm, a documentary short which will debut on January 26th and Barbara Hannah Grufferman’s new book, Love Your Age: The Small Step Solution To A Better, Longer, Happier Life (National Geographic/AARP) which comes out next month and Sherman Yellen’s touching memoir Spotless: Memories of a New York Childhood (Moreclacke). If you’ve got a hot book, Judy should be your go-to publicist. Just ask Sheila Nevins and Chris Whipple. Joan Kron, also a client of Judy’s, celebrated her 90th birthday with a brunch here at Michael’s on Sunday. Judy told me Joan got “the best birthday present ever” when her new film, Take My Nose ... Please, a documentary which explores plastic surgery through the eyes of female comedians, was featured in Tuesday’s Times’ television section under streaming recommendations. You can catch it on demand and on itunes and amazon. Don’t miss it! Busy Judy is also working with Victoria Shaffer, (Paul’s daughter) producer of “Extra Innings with Bill Murray and Brian Doyle-Murray” on Facebook Watch. Paul wrote the show’s theme with Bill and Brian. Victoria makes her ‘dancing’ debut on the sixth episode! Victoria is also the production coordinator of David Letterman’s new Netflix series. 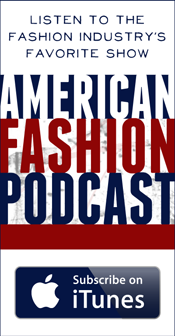 And Lisa, who is one of the fashion industry’s most respected journalists, has some interesting stories in the works, so stay tuned. 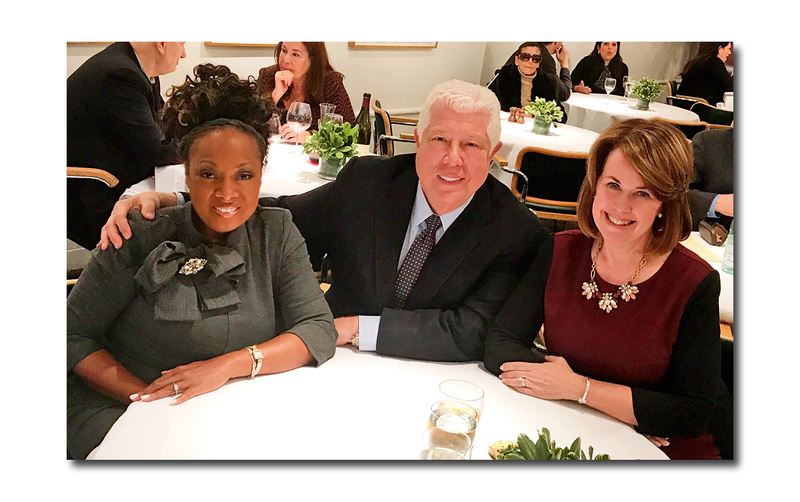 After I dined and dished with Judy and Lisa, I stopped by Star Jones and Dennis Basso’s table to say hello. I have known Star since her days on The View, I have to tell you she has never looked better. Today I found out why. Big News: now living in Chicago, Star is engaged to Richard Lugo (the date is top secret at the moment) and is loving her work as spokesperson for International Association of Women. Star told me the organization, previously the National Association of Professional Women, has just gone global. Today was her second fitting on her wedding dress, which Dennis is designing, of course. Dennis’ designs are always exquisite and he’s sure to make Star shine on the big day. It was a lot of fun catching up with them. 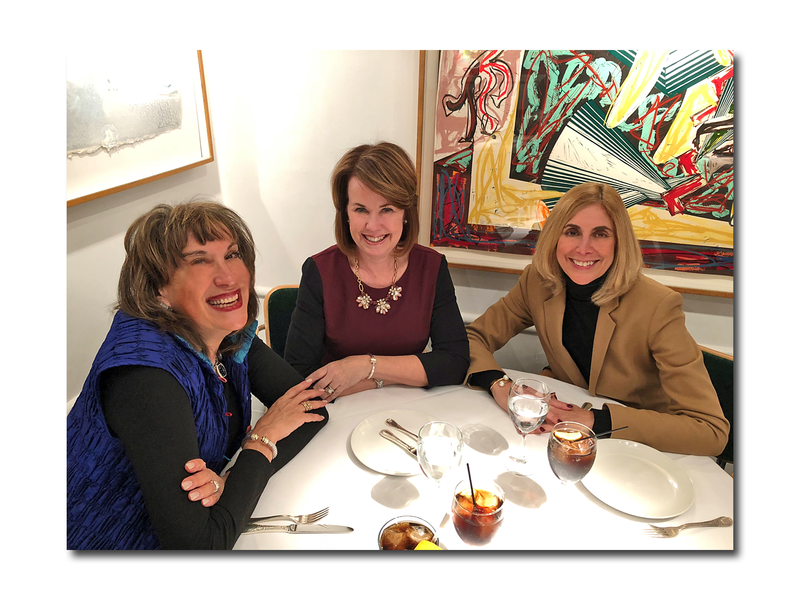 And there’s more … BDA PartnersEuan Rellie was hosting some colleagues on Table One … Actress Brenda Vaccaro and fashionista Mickey Ateyeh, who is off to California, were lunching on Table Two … Dan Abrams and Brian Kilmeade were on Three. I also got say a quick hello to attorney Bob Barnett and John Miller who were on Table Fifteen and check in with British Heritage Travel’s CEO Jack Kliger on Eighteen … LAK PR’s CEO Lisa Linden introduced me to “the best event planner in the city” Melanie McEvoy on Table Seventeen … The ‘two Joans’ – producer Joan Gelman and the grand dame of radio, Joan Hamburg were catching up on Table Twenty …And advertising guru Martin Puris was on Table Twenty-Four . Since the link was posted yesterday nearly 24,000 of your viewers read, shared and commented on the story. That's the power of the MasterpiecePBS audience!